This beautiful master down 4 bedroom home have been freshly painted, new flooring, with updated fixtures and fans throughout. Cambridge Commons is a unique neighborhood set in north Charlotte at the corner of Harrisburg Road and Interstate 484. A short drive up Cambridge Commons Parkway, past a small shopping center with a grocery store, pizza place, Chinese takeout and a Wendys. While the neighborhood is tucked away from the bustling Harrisburg Road, it is still within minutes reach of several area amenities. 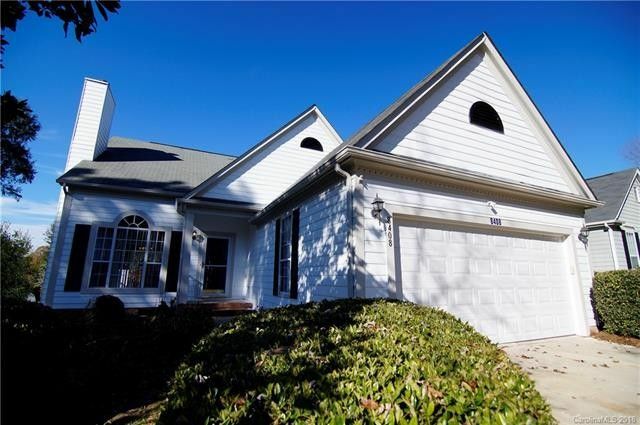 Cambridge Commons is also located within five minutes of two of Charlottes best known public golf courses, Larkhaven and Charles T Myers, the latter of which has a full driving range and practice facility as well as a golf academy. Also close by is Reedy Creek Park, with 100s of acres of trails, a nature center, and activities for the kids.